How did you get started using virtual assistants? What are some key challenges that HireSmart helps business owners overcome? How do you help your clients get ready for a virtual assistant? Why only full-time virtual assistants versus part-time? How well do they speak English? How much on average do you save your clients by using virtual assistants? What is the key to your success in placing virtual assistants? Since then they have transformed over 60 businesses from chaos & overwhelm to calm, well run businesses making higher profits; their team dynamic contributes dramatically to their ability to scale and grow multiple businesses. Anne & Mark wrote six books (3 became best sellers in hours) and developed multiple training modules in the area of Real Estate Investing, Property Management, and Business Ownership to help other entrepreneurs grow their businesses. 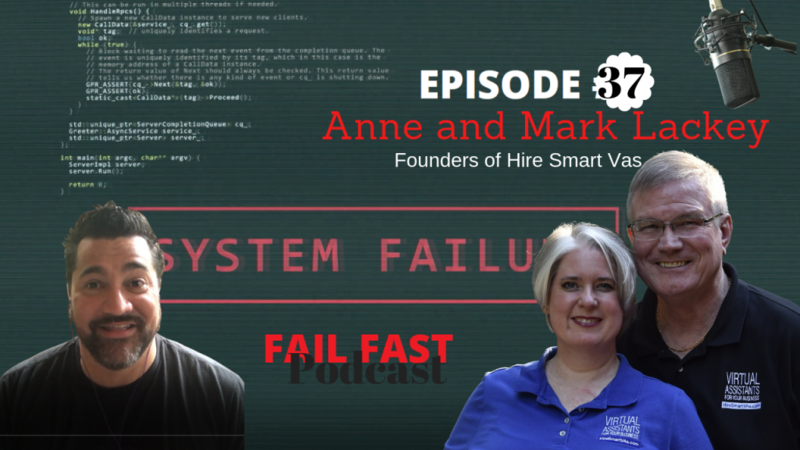 Anne & Mark love to educate others on how to scale and create business processes; sharing their passion through seminars, webinars, podcasts, and their live radio show “The REI Hour” which aired on 1160AM in Atlanta.